A week in Italy, this time with Dad and Janie in tow, based in Turin but with jaunts out to Alba, Genova and Venice. 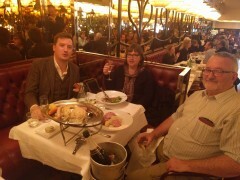 Got the Eurostar from London to Paris, had lunch in Paris, then got the TGV from there to Turin. Arrived quite late in Turin, but still squeezed in time for a welcome drink at Caffe Mulassano and Caffe Fiorio. First full day in Italy, and we decided to stay in Turin and have a fairly quiet day doing food shopping and having a wander around. In the afternoon went to visit the Basilica di Superga. 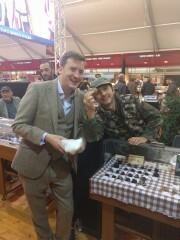 Went to the white truffle fair in Alba for the day. 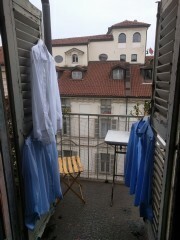 Another day in and around Turin. Didn't really have anything planned for today (other than doing laundry!) so ended up spending a fair bit of the day just aimlessly wandering around. 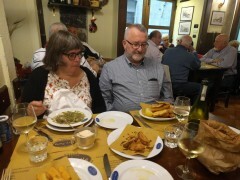 Day trip from Turin to Genova, mainly to have lunch at the wonderful Osteria di Vico Palla. 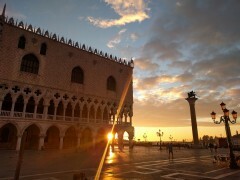 Got the Frecciarossa 1000 to Venice in the morning, spent the afternoon on a tour of bacari. 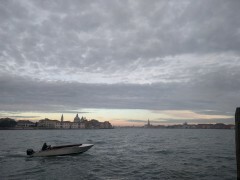 Woke early in Venice for a wonderful sunrise, then back to my hotel for breakfast before checking out and heading back to the station. Frecciarossa 1000 again back to Turin (and had a nice lunch onboard). 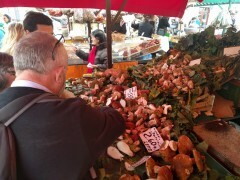 Back in Turin, spent the remainder of the afternoon doing shopping, before having an aperitivo of torbolino and chestnuts on the balcony of our apartment at sunset, and the dinner at a Piemontese/Ligurian restaurant round the corner.